We got a snippet of this a few weeks ago, but now the full version of the song has arrived. 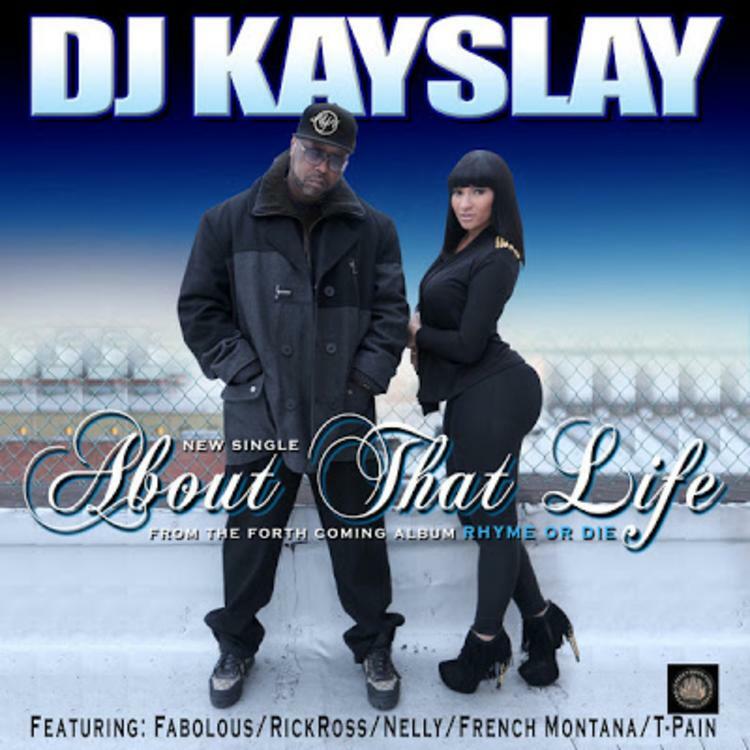 DJ Kay Slay and a slew of rappers team up for "About That Life," off Kay Slay's upcoming album "Rhyme Or Die" which you can pre-order on iTunes now. Listen to About That Life (Full), the latest track from DJ Kay Slay, featuring Fabolous, T-Pain, Rick Ross, Nelly & French Montana . The cut dropped on Monday, February 4th, 2013. DJ Kay Slay's future brightens with every new release, and About That Life (Full) certainly isn't an exception. It's a fitting addition to a solid catalogue that DJ Kay Slay has been developing since stepping foot in the game. We're excited to hear more. Check out DJ Kay Slay on The Sound Of NYC, featuring Sheek Louch, Styles P, & Vado. Check out DJ Kay Slay's profile page for the most recent info, news, songs, and mixtapes.